CFC has played a major role in creating the iconic green space character of Barrington. Through leadership, collaboration and community support, CFC has helped save more than 3,500 acres in the Barrington area for current and future generations. CFC and partners continually work to protect land by direct acquisition, donation and conservation easements. At many CFC preserves, volunteers work to restore land to its pre-settlement condition. The overarching goal is to help nature return benefits back to the Barrington community through air and water purity, carbon processing and areas for human engagement with nature. CFC has created a new vision for conservation in Barrington. 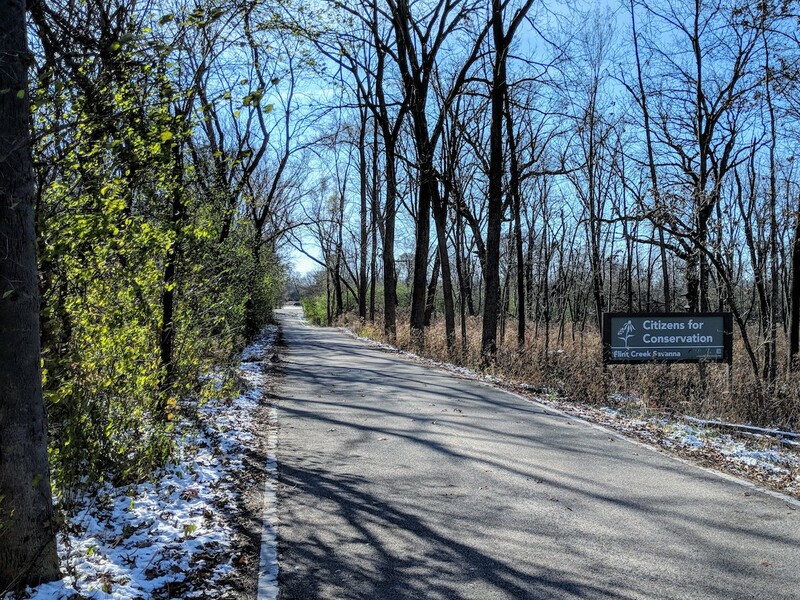 The Barrington Greenway Initiative (BGI) expands the legacy of conservation work into the next generation. It will help deliver even greater benefits to the community. Through leadership, collaboration and community support, CFC has helped save more than 3,500 acres in the Barrington area for current and future generations. CFC and partners have worked to protect land by direct acquisition, donation and conservation easements. At many CFC preserves, volunteers work to restore land to its “pre-settlement” condition. CFC leaves other preserves as-is but protected as open space if they are inaccessible. The image below shows the trees on the left side of the street choked with invasive buckthorn. After CFC volunteers cleared the invasive buckthorn on the right side of the street, the trees now have the nutrients and space to thrive.